And then I woke up, thinking: Wow, there’s an episode I’d like to see. Although if it had turned out that Fox Mulder wasn’t really Fox Mulder, it either wouldn’t have mattered, or it would have been dragged out for three years as a meaningless subplot. Just as well I woke, then. It was the sort of dream you have when you’re not well, I think, and I’m still laboring under something that refuses to show itself. I feel fine; I’m just befogged in the cranial area. Good thing I’m on another enforced vacation, then. Tonight we went down the block to the neighbor’s house to plan the Halloween party, and I wasn’t really in a pre-party mood; in the back of my head I had all the things that needed to be done later, and as it turned out, they didn’t get done. Well, the world will still turn if I don’t stay up until 1 AM writing the Stagland update. Sorry. It’s scanned and laid out, but nothing’s written. Tomorrow, perhaps. Just an odd day. Buzz.mn crashed the entire Strib website. Nothing I did! Really! Some peculiar confluence of warring code did it. I had intended to go out with a flurry of posts before the Enforced Vacation, but when the site’s down, the site’s down. This site, however, is up – so here’s some youtubery, with a Bleat Radio Theater at the ened. The first video has been around for a while, but so have I, and I never saw it before. Then again I don’t spend every day on YouTube panning for nuggets; the comments make YouTube a difficult place to inhabit. The offerings are wonderful, but the promiscuous and prodigal idiocy of the comments spoils everything. You can’t enjoy a classic old cigarette commercial without some teen-aged pedant making sarcastic remarks cancer. Gee, really? And they didn’t confront the fact while marketing the product in the 50s? Well, aren’t you the genius of the intartubes. Put up the Zapruder film and you get comments like LOL Fake and ZOMG dude wtf brainz. I believe, with every fiber of my being, that certain sites should administer a molar-twinging shock as a requirement for making a comment. Not buzz.mn, though. We have a civil thing going on, and I hope it stays so. A bright happy Kent ad from the early sixties, from the great era of the soulless uninflected WhIte Folk Chorale. This is the stuff rock music abolished for good. After rock took hold this music was relegated to the “beautiful music” stations, where it played from plastic monophonic clock radios sitting on the kitchen counter. Note how the music anticipates “things go better with Coke,” at one point. But here’s another Lynch commercial that has his patented unnerving dream-like motion. People move wrong in his movies. That’s what buries them deep under my skin and puts something deep in my brain. People moving wrong. This is the place where people cheer and praise Jay Ward animation, but as I’ve said before, I thought it looked cheap then and it looks cheap now. The fact that the voice actors are classic and beloved fixtures doesn’t change the fact that they turned up in every single thing the outfit did. 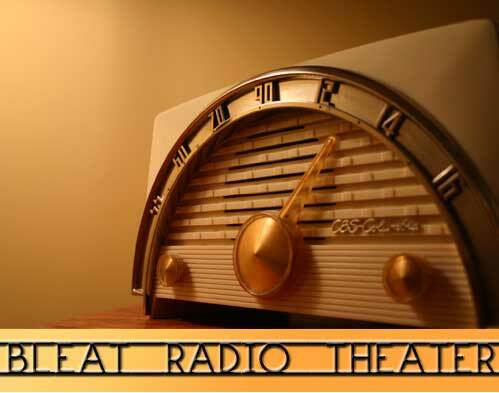 On the other hand, they had one of the greatest radio actors working for them – which brings us to Bleat Radio Theater: Leiningen Vs. The Ants. I don’t mean to load you up on “Escape” shows, but there are several radio versions of this story – I have four - and this is probably the best. When you listen to all four, you realize that you could probably debate the best Leiningen the way we debate the best 007 Bond. You may recognize my choice for the role. It’s Quake. See you at buzz.mn - a low profile, but I'll be there.